I joined PAIS in 2012, following a position as RCUK fellow at the Centre of Citizenship, Identities and Governance, The Open University. Prior to that, I was ESRC postdoctoral research fellow in the Department of Political Science and International Studies at the University of Birmingham. My research cuts across the fields of critical citizenship, migration, border and security studies, and coalesces around my interest in the emergence, development and contestation of various rationalities or techniques of governing mobility. Specifically, I consider the political implications of different practices of governing mobility, as well as the transformative potential of diverse struggles through which such practices are contested, resisted and/or subverted. I have published widely in this area, and have presented lectures by invitation across the world, including in Brazil, Bulgaria, Canada, Denmark, Finland, Germany, Italy, Japan, Sweden, the UK and the US. I am Co-Editor of the journal International Political Sociology, and Convenor of the Warwick Borders, Race, Ethnicity and Migration (BREM) Network. I am currently working on a monograph with Cambridge University Press drawing on research from my Leverhulme Fellowship, entitled Human Dignity and Biophysical Violence: Migrant Deaths across the Mediterranean Sea. 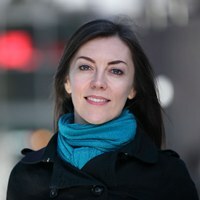 I was Principal Investigator on the ESRC urgent research grant, Crossing the Mediterranean Sea by Boat: Mapping and Documenting Migratory Journeys and Experiences from 2015-2019, and I am currently Co-Investigator with Professor Suzan Ilcan (Co-Investigator) and Dr Yasmine Shamma (Principal Investigator) on the British Academy project, Lost and Found? A Digital Archive of Testimonies of Migration, Displacement and Resettlement. My first line of research emerges from my ESRC-funded research on asylum, which was published as a monograph entitled The Exclusionary Politics of Asylum in 2009. From this I have developed an interest in diverse enactments of urban sanctuary or welcome in both the US and the UK. This work follows on from my funded project entitled Mobile Acts of Solidarity. My second line of research is concerned with contemporary border struggles, which I have developed through an edited volume of essays published in 2011, entitled The Contested Politics of Mobility: Borderzones and Irregularity. This theme is further developed in my most recent book entitled Post/humanitarian Border Politics Between Mexico and the US: People, Places, Things. Drawing on fieldwork that I carried out in 2011 and 2012, it examines 'the human' as a stake of humanitarian politics in a context of emergent forms of biophysical violence. In the forward to the book, Professor Brett Neilson (University of Western Sydney) says: “Squire successfully … opens new and hopeful paths of movement through the desert of contemporary critical thought". The analysis of these themes has been further developed through my Leverhulme Fellowship, Human Dignity and Biophysical Violence: Migrant Deaths across the Mediterranean Sea, and ESRC project, Crossing the Mediterranean Sea by Boat: Mapping and Documenting Migratory Journeys and Experiences. My third line of research draws on previous work that I have carried out on ‘acts of citizenship’, as part of the European Commission funded Framework 7 project, Enacting Citizenship. This involves consideration of the potential and limitations of enacting ‘citizenship without community’, and is a theme examined in a special issue of the journal Environment, Planning and Space, which I co-edited with Dr. Angharad Closs Stephens (University of Durham), entitled Citizenship Without Community. I am currently on leave from my role as Director and Tutor on the MA modules PO966 Concepts and Theories of International Security and PO9A2 Borders and Migration. I have wide-ranging experience in teaching across the related fields of politics and international studies, as well as across the social sciences more widely. Squire, V. (2018) "Researching Precarious Migrations: Qualitative Strategies Toward a Positive Transformation of the Politics of Migration", The British Journal of Politics and International Relations, published on early view in March 2018. Squire, V. (2017) “Divided Seas, Parallel Lives”, Women’s Studies Quarterly, 45(1&2): 69-89. Squire, V. (2017) “Governing migration through death in Europe and the US: Identification, burial, and the crisis of modern humanism”, European Journal of International Relations, published online September 2016. Squire, V. (2016) “Unauthorised migration beyond structure/agency? Acts, interventions, effects”, Politics, published on early view December 2016. Squire, V. (2015) "Acts of desertion: Abandonment and renounouncement at the Sonoran borderzone", Antipode, 47(2): 500-516. Squire, V. (2015) “Reshaping critical geopolitics? The materialist challenge”, Review of International Studies, 41(1): 139-159. Squire, V. (2014) “Desert ‘trash’: Posthumanism, border struggles, and humanitarian politics”, Political Geography, 39: 11-21. Squire, V. and Darling, J. (2013) “The 'Minor' Politics of Rightful Presence: Justice and relationality in City of Sanctuary”, International Political Sociology, 7(1): 59-74. Closs Stephens, A. and Squire, V. (2012) “Politics through a web: Citizenship and community unbound”, Environment and Planning D: Society and Space, 30(3): 551-567. Squire, V. (Ed.) 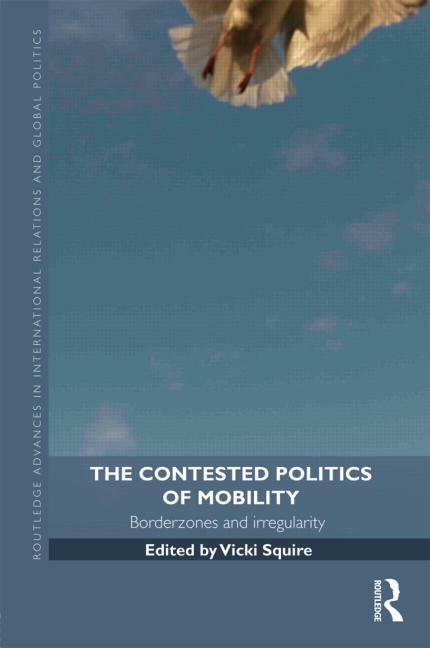 (2011) The Contested Politics of Mobility: Borderzones and Irregularity (Abingdon: Routledge). Squire, V. (2011) “From Community Cohesion to Mobile Solidarities: The City of Sanctuary network and the Strangers into Citizens campaign”, Political Studies, 59(2), 290-307. Squire, V. (2009) The Exclusionary Politics of Asylum (Basingstoke: Palgrave-Macmillan). For a full list of my publications, please see my Publications page. The Crossing the Mediterranean Sea by Boat final report and online interactive map are now available! My article on structure/agency and unauthorised migration is now published in the Politics journal .